A tricked-out version of YouTube offering exclusive content might prove lucrative bait for Google to lure some of its users deeper into its digital video and music services. YouTube appears to be readying a paid premium music service that would cost $9.99 a month, called YouTube Music Key. Roughly a dozen purported screenshots of the service were recently published online on the blog Android Police, possibly showing how it would work. The images showed exclusive content such as remixes or cover songs, offline access to entire albums or concerts, and personalized playlists. A YouTube spokesman declined to comment, but rumors of a paid music service from the Google-owned video site have been circulating for some time now. 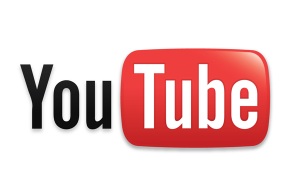 An earlier report in the Financial Times claimed YouTube was blocking or penalizing independent labels that were not signing up for the yet-to-launch paid service. Earlier this month, YouTube head Susan Wojcicki confirmed the company was working on some kind of subscription music service, in a Re/code interview. So it looks likely that a premium version of YouTube just for music is on the way. The free version of YouTube works well for many right now, but a premium version might let Google monetize some new content and lead users to the company’s other digital media services. The amount and diversity of content already available free on YouTube is massive, and the advertisements don’t interrupt the listening experience like those on Spotify or Pandora do. Plus, Google already offers Google Play All Access, a paid music service that syncs across devices and lets people listen offline, for $9.99 a month. “Premium” might be the draw for a paid music service. The special content might include exclusive recordings of professional artists’ cover songs, or unreleased tracks similar to iTunes exclusives. To do that, Google would probably have to strike new licensing deals with music labels. But if YouTube could convert just a tiny fraction of its billion-plus monthly users into paying customers, that might be a win for Google, argues Mark Mulligan, co-founder of the music and technology research firm Midia Consulting. YouTube claims viewers watch more than 6 billion hours of video each month on its site—almost an hour for every person on Earth—and that 100 hours of video are uploaded every minute. That catalogue is peerless, Mulligan said, but Google probably wants to do more with it in order to take on streaming services like Spotify, Rdio or Beats Music. “YouTube has the ability to offer so much more than anyone else, with video the killer component,” he said. Google might also package a premium YouTube music service with the pure audio content in Google’s All Access app. The combination, if it’s done cleanly, could help Google distinguish itself from some of its competitors. “Users listening to music on Google Play, for instance, could get recommendations for premium video content,” said Michael Inouye, senior analyst at ABI Research, who studies digital services. Or, a user exploring music videos could add a song to his or her video playlist, then automatically have it added to his audio collection on another Google-owned service. There’s a good chance the premium content would also include live streaming concerts, something YouTube has already offered on its free site. In sum, YouTube may not be looking to monetize what it already has, but something else. The wild card could be whether the company can reach the right deals with publishers and labels. “Google’s stance here fits into a broader phase in the evolution of digital content,” Midia’s Mulligan said in a blog post about earlier reports of YouTube’s premium service. Technology giants like Google, Apple and Amazon, he said, are testing how far they can push their partners to strengthen their already strong products.